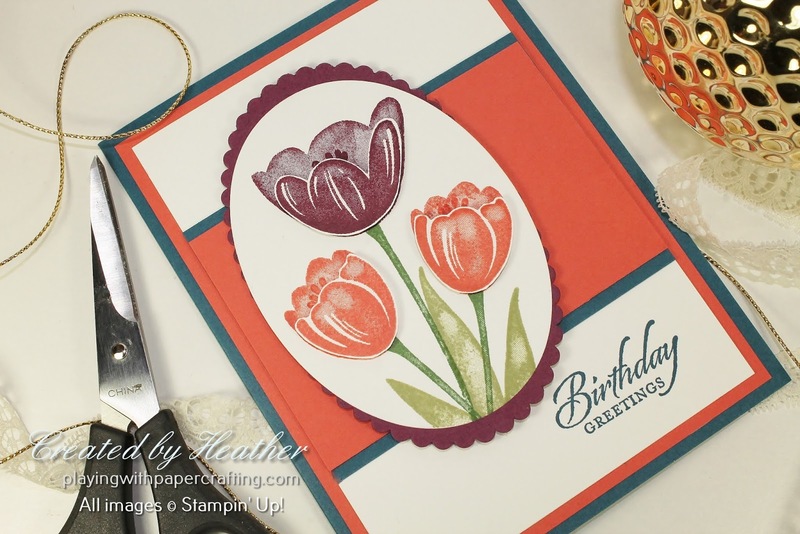 I've been dying to play with one of the Host stamp sets that I earned with my pre-order. It's called Tranquil Tulips* and it creates some beautiful images. 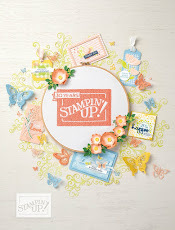 Host sets can only be earned with Stampin' Rewards, so you would either need to host a party or workshop and earn rewards from all the orders placed, or you would need to join my Stamp Club, where one month out of the twelve, you would receive the Stampin' Rewards from all the orders placed for the Club Order. 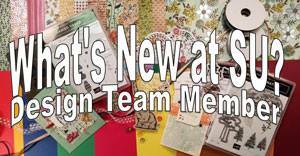 Either way, Host sets are priced lower than normal so that you can get the most out of your Stampin' Rewards dollars! I used Rich Razzleberry for the larger tulip and Calypso Coral for the two smaller ones. 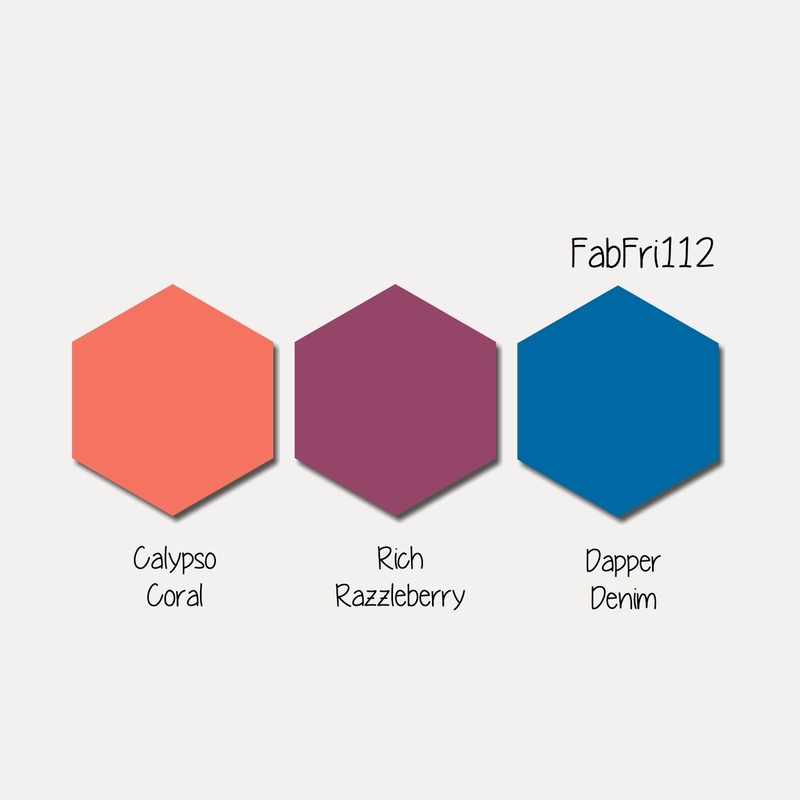 The Dapper Denim, I reserved for the card base and backing for the horizontal coral piece and the sentiment. 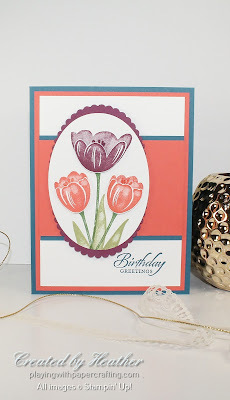 I used the Layering Oval Framelits to die cut the oval for the main image first before stamping it. The scalloped backing is also from the Layering Ovals Framelits, but since there is no Scallop Oval Framelit large enough for the largest regular oval framelit, I die cut two of the largest ones and mounted them on the back of the Whisper White Oval off-setting them at the top and the bottom. The sentiment is a farewell salute to one of my all time favourite stamp sets, which I just might refuse to get rid of: Wetlands! I love the font on all the sentiments and would keep it just for them! 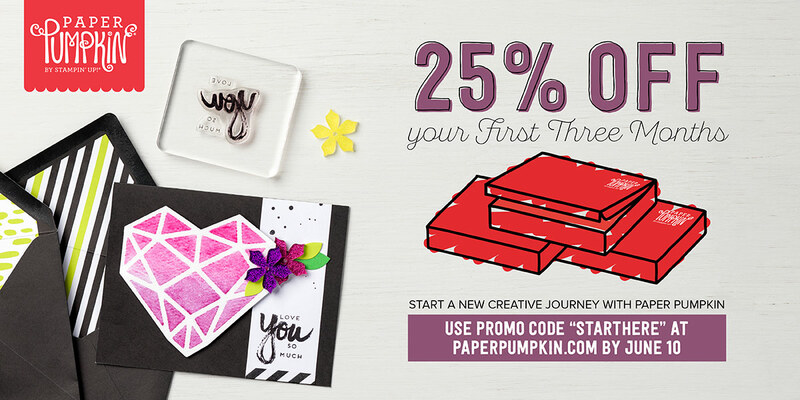 Don't forget that if you've never before subscribed to Paper Pumpkin, but were thinking about it, this might be the best time to do it! If you sign up before June 10, you will get 25% off your first three months, by entering the Promo Code: "STARTHERE" ! 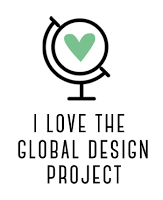 Speaking of Stamp Club, I've added two new perks for Stamp Club Members. They will be getting their Annual Catalogues spiral bound with clear protective covers free of charge AND they will have Early Bird Access to my Rubber Rummage Sales in June and January so they have first pick of my newly retired items! I have four spaces open at the moment and more may be opening up. You can join at any time there is space! The commitment is $20 a month for a 12 months and one of those months will be your month to receive Stampin' Rewards from all the orders the others place that month. 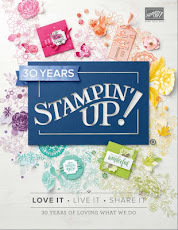 It's a great way to earn free product from Stampin' Up! 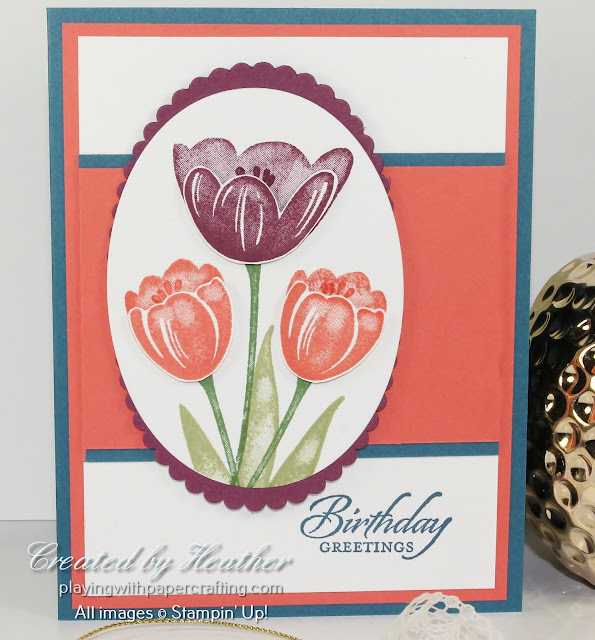 AND a great way to build your stamping supplies in a gradual and affordable way! 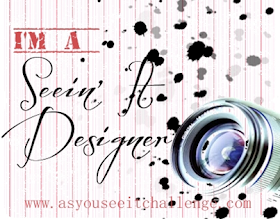 Message me if you are interested.